- Something you never want to hear! TechMentor is focused on giving you knowledge, providing in depth training for IT Pros, System Admins, Network Admins, Managers and Directors! TechMentor has been around since 1998 for a reason. It is just the right size – big enough to have a wide educational reach, but small enough to make the industry contacts and speak 1-on-1 with thought leaders. Updated Content Announced: Check Out the Full Agenda Here! As an IT professional, it’s your responsibility to stay up-to-date on all the latest tools, topics, and trends – and shame on you if you don’t. Advance your own professional worth by educating yourself on current and developing enterprise IT tools. LIVE AT #TECHMENTOR REDMOND Check out our photo feed Live! from the event, August 6-10. 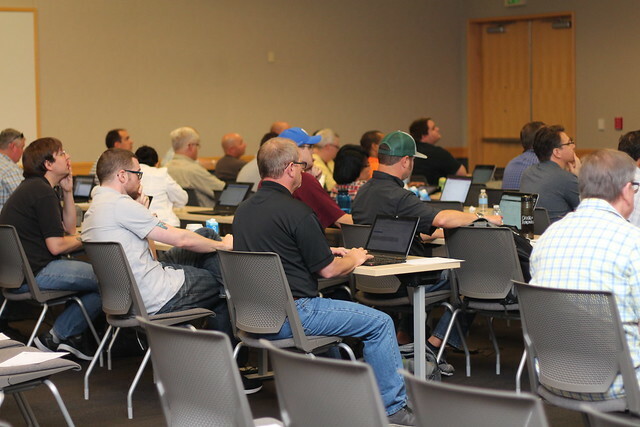 Experience 5 full days of sessions and in-depth workshops taught by 3rd party instructors, leading independent IT analysts and Microsoft team members. Conference co-chairs Sami Laiho and Dave Kawula carefully vet the topics covered to ensure their relevance and usability to you! Plus you’ll be at the source, Redmond, WA, where you can have lunch with Blue Badges, visit the company store, and experience life on campus for a week! "TechMentor is a great experience to keep up on current IT trends. Love that is it hosted in Microsoft." "Intensely amazing conference! I love having the opportunity to meet presenters – their breadth of knowledge is top notch!" Check out our video library to see if TechMentor is right for you! Quickstart Converts Training Into High Impact Personalized Learning Experience Using Artificial Intelligence To Meet Goals & Objectives Of IT Executives and Increase Learning Engagement of A Modern Learner. Quickstart is a Microsoft Gold Partner, Cisco, NetApp, Citrix, ITIL and EC-Council learning Partners and offers Multi-modality training (Online, VILT, 1 on 1 mentoring, social learning, voice activated learning, micro learning, virtual labs) as a subscription to meet multi year IT Goals and Objectives. For more information, please visit www.quickstart.com or call (866) 991-3924.